You may be aware that Apple is removing the current map and YouTube apps from the next version of the operating system, iOS 6. Google has to release these as individual AppStore app if they are to be available to iOS users. 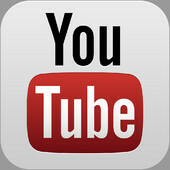 The official YouTube iPhone app is here (for Android, too). Get more music videos, easier navigation and sharing, and the ability to browse while you watch.